Peekaboo has become one of the popular manufacturers of entry level and supposedly fun dance poles through Amazon, and today we learned that it offered a new product in the market, introducing the Peekaboo Party Home Pole Dancing Kit. 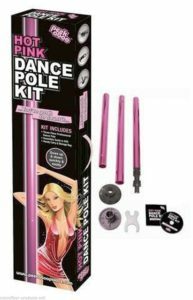 This dance pole kit is economically which is attractive to dancers on a budget and beginner pole dancers looking to learn the basics. It has a pink premium grade finish which seems to look great, however how does this bargain pole stack up in real world pole dance applications.? Based on our personal use of the peekaboo pole and the reviews and customer testimonials found online, this is one of the cheapest kits in the market that compromises on build quality and durability, this is also depending on your usage and the pole elements you intend to practise, if you intend this pole to be a show pole for pole walks and light performances then this pole is ideal. Before you read on the peekaboo pole comes with many limitations which can be concerning to serious injury without knowing its limitations. 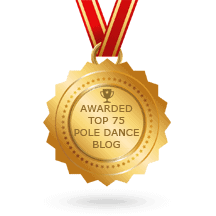 If you are a serious beginner – advanced student of the pole dancing and you are looking for a high quality and durable stripper pole setup and you have a little more money to spend in order to get the full usage out of your first pole, then we would recommend in Looking into the top 4 dance poles on the market before you purchase the Peekaboo. This kit comes from one of the well-known cheaper manufacturers of dance poles which can be found through Amazon. Peekaboo is the same company behind ‘popular’ dance poles and kits like the Hustler Stripper Pole Kit and the Carmen Electra Spinning Pole which have come up as red flag products to stay away from. 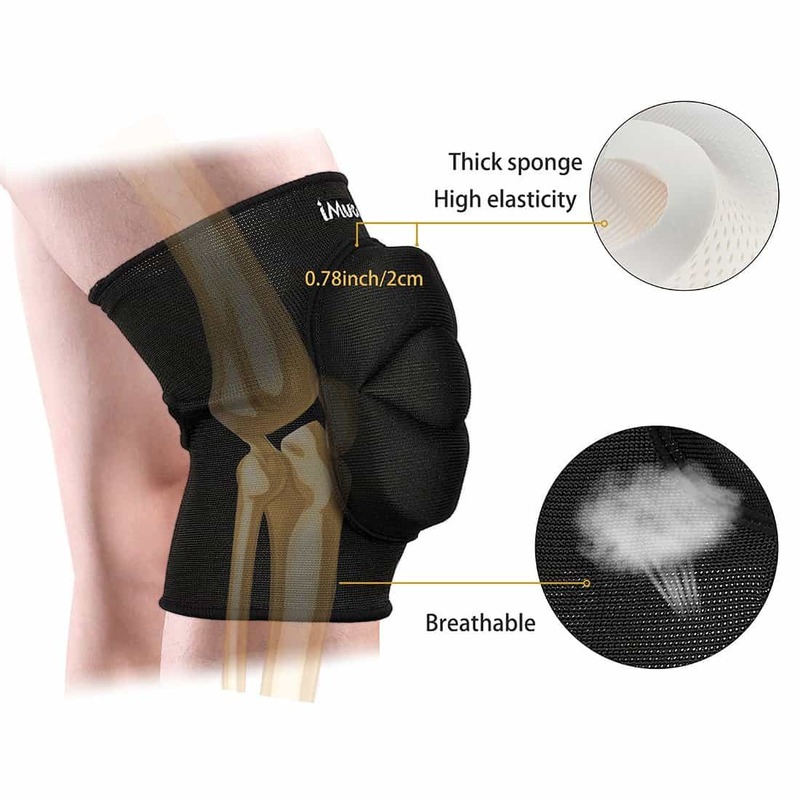 If you are going to try this kit, you will instantly notice its ease-of-use. Installing the kit is easy, and you can assemble the dance pole in just 2 minutes. It comes with a spring loaded system that allows you to secure the pole, without having to fix it on the floor or ceiling. Screws or nails are no longer needed when installing the dance pole, thanks to the spring loaded action. It stays in place if you are not doing any crazy elements or spins. This dance pole is highly portable, which means that you can easily bring the kit anywhere. Beginners can also count on the DVD, complete with step-by-step guide on how to execute some very basic dance moves. The Dance Guide that comes with this kit will feature 11 exclusive dance moves which some are very questionable with this pole and I recommend that you wear a helmet if you dare to try these tricks on this pole lol Seriously. For those looking for an affordable dance kit, then this Peekaboo product might be the right fit right fit for you if you are only intending to do pole walks and not inverts or any other complicated moves. Its constructed from decent quality materials which is not the best like the elite brands like Xpole, Lupit pole and Mipole. In regards to the affordability of this particular stripper pole along with its attractive design and construction, performing basic dance moves will suffice with this unit. The durability is questionable depending on the pole moves you plan to perform. WARNING Note: this is not a dance pole that you should invert on or spin! Basic tricks is the maximum threshold for this particular pole. If you live in an apartment or studio, then this kit maybe recommended since you can easily take it down, and bring it to another location. You no longer need a drill and screws, which means that you will not compromise your floor and ceiling when installing it. You can also expect its spring loaded action, allowing for the pole to remain in its area even if you pull off the some basic moves. The diameter is just right, allowing most women and girls to handle the pole confidently and securely. However I wouldnt recommend any persons over the weight of 120 Lbs to use this pole for safety reasons. It is designed with three jointed sections which has proven to be serious weak points of the pole. The weakness of the dance pole can be experienced when completing swing or spinning dance moves which applies too much pressure to the mid of the pole which causes it to buckle under the outward pressure. Although there are some concerns about its structural integrity, we cannot find actual reports about accidents related to the use of this kit. The key here is to properly secure the pole, and read and follow the instructions in the provided manual. If you just follow the recommendations and installation steps, it will be easier for you to enjoy a dependable and reliable dance pole. Just as a key note: dont bother buying this stripper pole if you intend to do more than the basic moves on it. Although there are some concerns about its quality and reliability, the Peekaboo Party Home Pole Dancing Kit is still an ok product for the very basic of pole dancing moves. 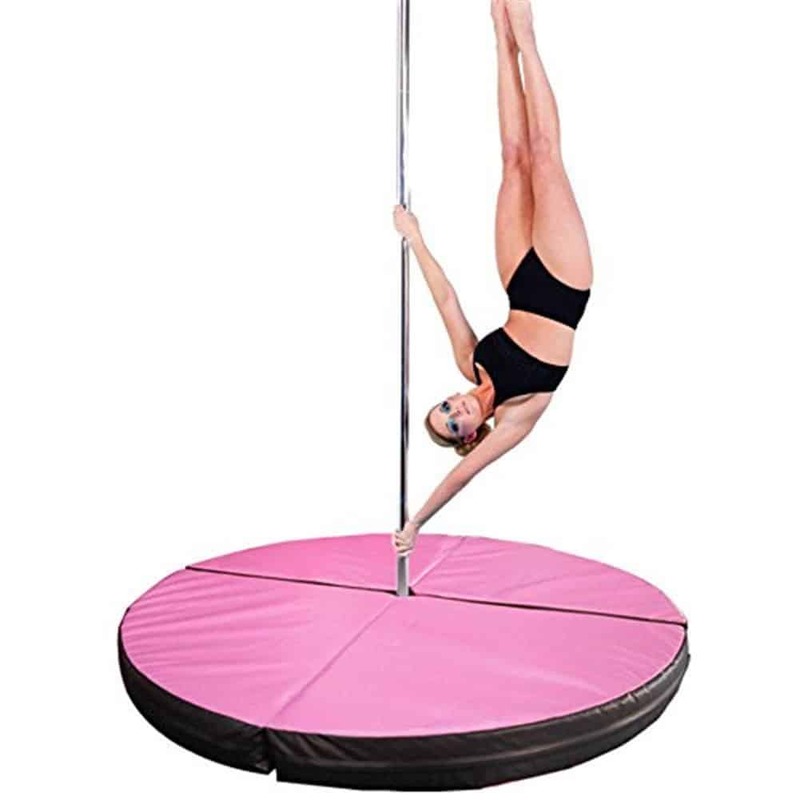 Thanks to its affordability and portability this pole is OKAY for beginners looking peak their interest in pole fitness, however we advise all pole dances to avoid spinning or inverts on this pole as this can lead to serious injury due to its weak points. If are a keen beginner and budget matters, then you cannot go wrong with this kit. If you are more serious with the quality of your next pole then visit this page.